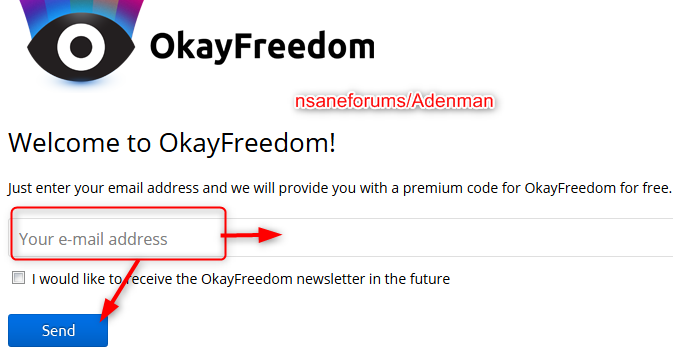 OkayFreedom VPN Premium hides your real IP address online, and also encrypts your entire connection with secure 256-bit AES encryption. Sounds complicated, but it is super okay because you can basically surf the net anonymously! OkayFreedom VPN supports 480+ VPN servers in many countries and provides a vast pool of IP addresses. OkayFreedom VPN will automatically pick the best connection for you. If you want though, it‘s totally up to you: simply pick a server in one of the supported countries and at the touch of a button, the Internet will think you’re in the United States, Great Britain or whatever you choose. VPN in OkayFreedom VPN means “Virtual Private Network”: A VPN routes the Internet traffic from your device via specially secured servers of the VPN provider (i.e. OkayFreedom VPN). A “Virtual Private Network” is comparable to a virtual, protected tunnel. Such a VPN tunnel excludes hackers and attackers, secures your Internet connection and makes you anonymous and invisible in the network. Your data is encrypted, no matter which WLAN network you are logged into. Security experts around the world urgently recommend that you protect yourself in public WLAN networks with a VPN service such as OkayFreedom VPN. upported OS: Windows 10/8/7 / Vista 32 | 64-bit. This is a 1 year license for 1 Windows based device. For personal use only. The subscription includes 5 GB of traffic per month with no speed limit. Thanks for the post. but 5GB is not premium even no speed limits. 5 GB of traffic per month with no speed limit. OkayFreedom VPN software is available as a free version and premium version, free version provides only 2 GB data (before it was 1 GB) traffic per month, whereas premium version will cost $29.95 per year and provides unlimited data traffic. I only get 9.8 gb a month.